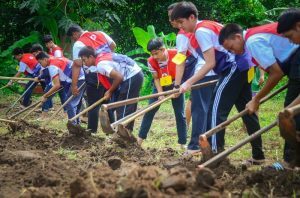 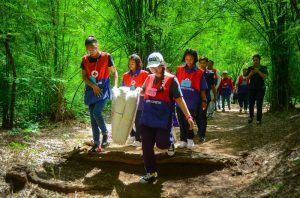 Red Cross Youth Bureau of the Thai Red Cross Society organized a charitable activity titled “Build Weir, Share Happiness” on 26-27 May 2018 at Salak Phra Wildlife Sanctuary, Muang District, Kanchanaburi Province, with the purpose of helping young people become aware of environmental issues. 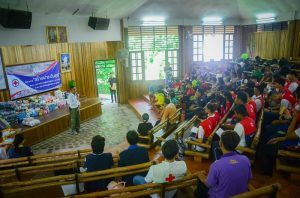 The opening ceremony was presided by Mr. Witoon Sirinukul, Kanchanaburi City Sheriff. 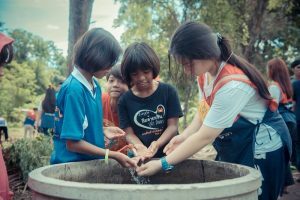 On 26 May, two types of weirs were constructed, namely, crib weirs and rock fill weir which is made of artificial salt licks. 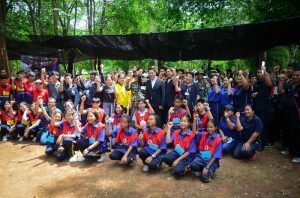 Participants also planted seeds at Salak Phra Wildlife Sanctuary. 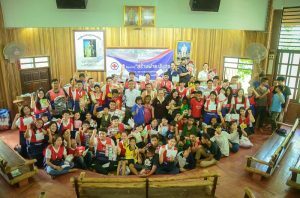 On 27 May, volunteers from the network of the Red Cross Youth Volunteer engaged in a knowledge exchange activity at the Children’s Village School focusing on handicraft skills and self sufficiency principles. 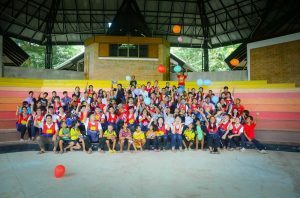 In the afternoon, the volunteers taught first aid to the children based on their age groups. 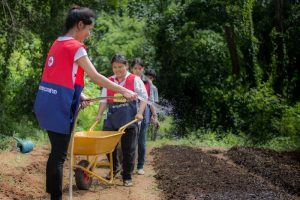 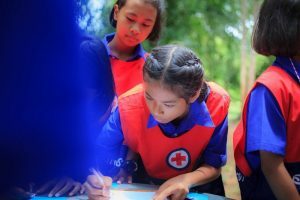 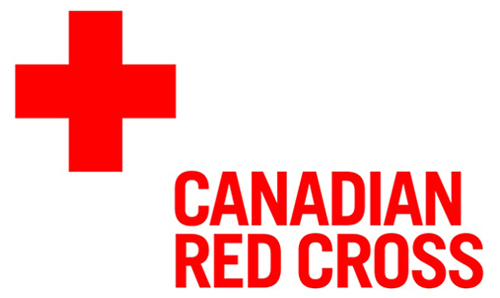 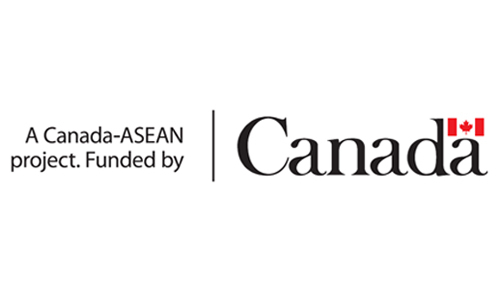 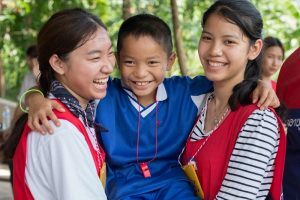 These activities were supported by Kanchanaburi Province Red Cross Chapter, Salak Phra Wildlife Sanctuary, Children’s Village School (Children’s Foundation) of Kanchanaburi, and participating education institutes as well as Central Red Cross Youth Volunteers.